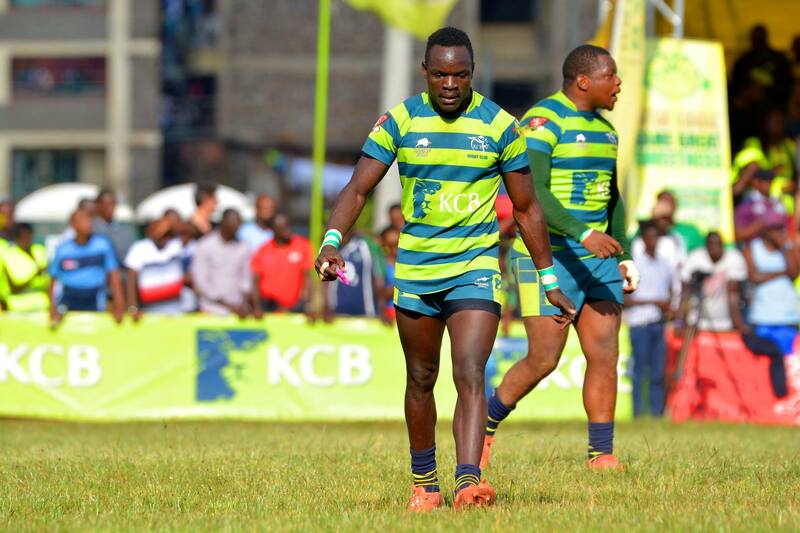 Impala Floodies defending champions KCB named winger Jacob Ojee in the squad to face hosts Impala Saracens in Saturday's final. Ojee was this week left out of the Kenya Simbas squad to the 2019 Rugby World Cup repechage thus making giving head coach Curtis Olago a chance to select him. He replaces Isaac Njoroge on the right wing with the latter swapping to the other wing and so Stafford Abeka will be un-involved in the final. Martin Owilah, who started in the 34-10 win over Homeboyz in the semis but is also heading to France, is replaced by Mannaseh Oduor in the second row while Brian Nyikuli returns after missing the semis to replace Andrew Amonde. KCB also makes half-backs changes as scrummie Samuel Asati comes in for Marlin Mukolwe while fly-half Stephen Osumba replaces Ahmed Shaban who drops to the bench. Impala Saracens head coach Frank Ndong named Wekesa Soita to replace Edgar Obino at loose-head as reported by the official club portal. Elvis Oroko is replaced by Steve Shammah who goes to eight with that change seeing Joel Omer start at blind-side while former Kenya U19 captain Tyson Okoth will start on the open side. The Sarries will be without captain Samson Onsomu who has been named in the Kenya Simbas squad to the 2019 Rugby World Cup repechage in France. He's replaced by Simbas mate Xavier Kipngetich. Samuel Oliech, who played at 10 in the quarters and semis, is also on his away to France and will replaced by Mark Kwemoi. KCB have won Floodies five times in the last six years with Impala winning one, in 2017.